I was invited to join Frenchic Furniture Paint for its 2017 Press & Bloggers’ Showcase event in London and learn more about their products. I’d already tried a mini project at home using Frenchic’s paint and, being impressed with what I saw, I was keen to learn more. On arrival at the London event we were presented with a goodie bag and were told that we each had a wooden heart inside that we could choose to decorate how we liked. What better way of getting acquainted with the company’s paint range than by trying it out…what a great idea! Once inside I received a really warm welcome from the team, who explained how I could go round the different tables to experiment with the paint ranges. Now this was an event right up my street! I don’t think I’ve seen so many wooden hearts in one room before; everywhere I looked people were painting, glazing or decoupaging (is that a word?) hearts. 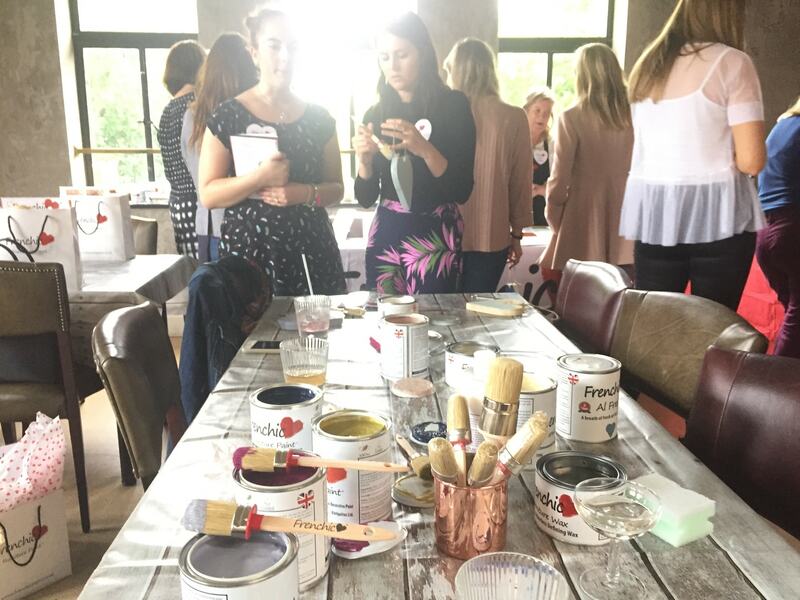 A lot of attendees were opting to paint their hearts in pretty pastel shades which looked lovely, and some chose to try the crackle glaze look, which I think always looks really effective, especially when you use two bold contrasting colours. However, as I’ve tried both these methods before, I thought I’d go for something a bit different – decoupage. I’ve always admired this – but I’ve never had the confidence of giving it a go myself. But with an expert in front of me, I made sure to grill her for all the info! I decided to keep my heart ‘au natural’; my lounge décor is dark wood and sage green – quite a masculine look and I wanted something that would reflect this. 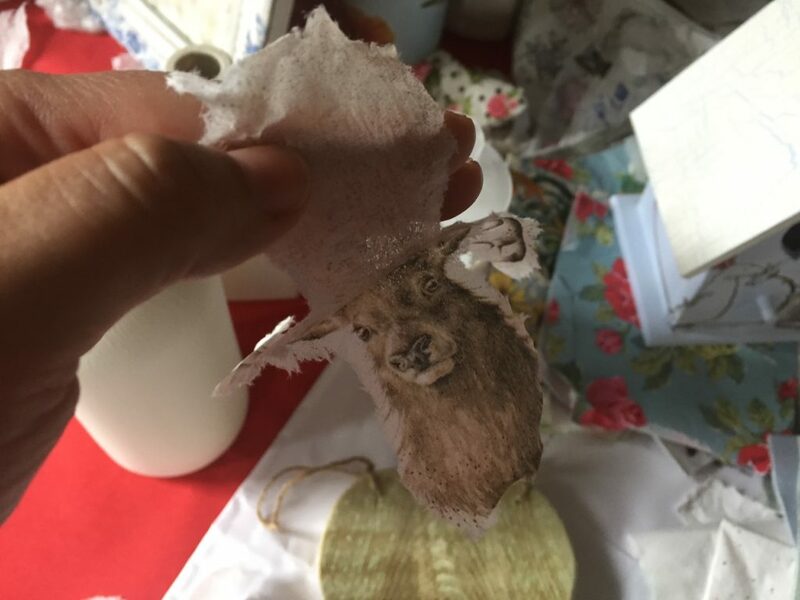 So I chose a napkin with a stag on it and decided to leave my heart unpainted. First things first, once you’ve chosen the print you’d like to use, you need to tear it out – as close to the image as possible. I asked the expert why you couldn’t just cut round it and she told me that it leaves edges very obvious on application, but by tearing it, the edges are blended in much better. Makes sense. I also learnt that napkins have three layers on them and that you’ve got to separate each of the layers until you are down to the last layer with the print on it. The way you do this is by licking your fingers and then pressing the napkin in between your thumb and index finger. As you gently pull your fingers apart, the first layer of the napkin will come away. I repeated this process until I was left with the last layer with my stag image on it. The next step was to paint my heart surface to wet it (we used Frenchic’s ‘Frensheen’ Finishing Coat) and then gently place the image in the heart. To press the image onto the heart, a great tip I was given was to use cling film, because if you use your fingers you run the risk of tearing the napkin. Using the cling film, you gently press and smooth out the image from the centre working your way outwards. And that’s pretty much it. The item should be touch dry in about 10 minutes, but you can speed up the process with a hairdryer. My finished decoupage stag heart! 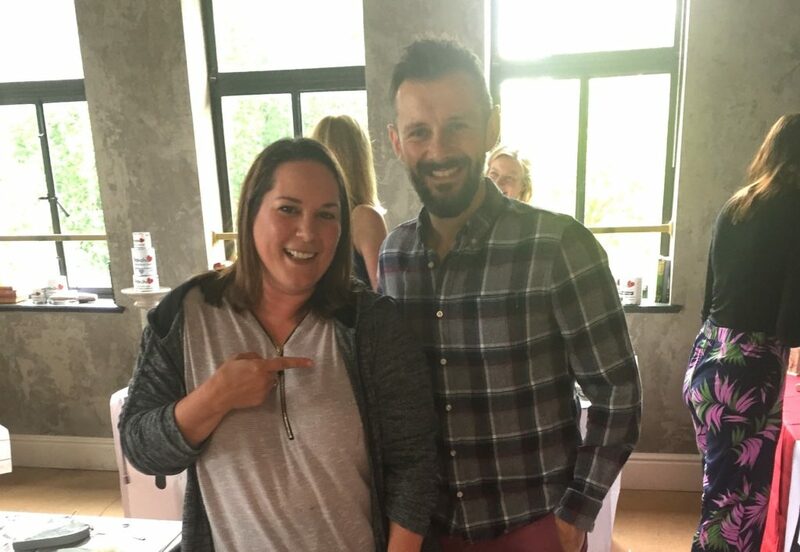 One of the other highlights of the event was meeting Frenchic’s brand ambassador, the one and only Max McMurdo! I was really pleased to find out that he’s genuinely a really nice, down to earth guy, who was very happy to chat with me all things interiors. With the lovely Max McMurdo! And the other highlight (just as I was about to go up for a second round of sarnies), was meeting Pam – the founder of Frenchic. Pam was lovely – again, really down to earth with a wonderful sense of humour. As Pam was chatting away to me I was desperately trying to type up notes on my phone – that’s one time when I wish I’d had my dictaphone with me! A few things that I learnt about Pam was that she only uses colours for Frenchic’s range that she herself likes (after doing her research on emerging colour trends). And when it comes to choosing the names of the paints she just thinks up the first thing that comes into her head. My personal favourite names of some of the paints include Sugar Puff (I wonder if she’s a fan – I am! ), Wolf Whistle and Plum Pudding. The difference between the Original Paint and The Lazy Range is that wax has already been added to The Lazy Range, meaning it’s great for those who want the job done quickly; they simply paint and when it’s dry, gently rub the item to buff it – no prep or finish needed. Simples. What I particularly love about Frenchic’s philosophy (having a young family and being health conscious) is that there are no hidden nasties. Pam explained that she wanted to develop a paint range that ticked all the boxes – it doesn’t need stirring or shaking, you don’t need to add water and it doesn’t smell. 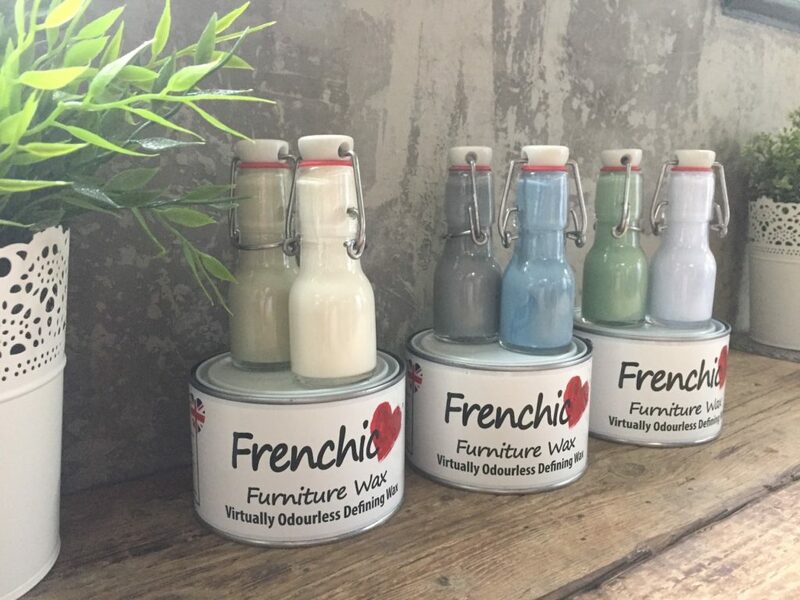 In fact, Frenchic Furniture Paint has gone through rigorous testing to be certified child safe; there are no VOC’s, toxins or solvents. And of course it gives superior coverage. Just check out my mini paint project on a storm lantern to see! Another interesting fact that I discovered at the event is that there are currently 400 stockists in the UK. In fact, having a good old nose around Frenchic’s website I noticed that the company really looks after the companies it teams up with, hosting events for suppliers who have the opportunity to network with each other and pick up new ideas. It has also recently expanded to the USA –and currently has 25 stockists there already – all this for a company less than three years old! On leaving the event, and armed with a fantastic goodie bag, I’m raring to get going with some paint projects. I especially want to try the company’s new al fresco range, which sees the introduction of six new colours. Now all I’ve got to do is wait for the sun to come out at the weekend and I’m ready to go! Check out the video of the showcase event and check out the treats I picked up in the goodie bag! I’ve used Frechic’s paint to revamp my 30 year-old dining table and chairs, and am really please with the results. It’s great paint isn’t it – I love the colour range too. I think you’d like the paint if you had the opportunity to use it. This seems like a fantastic idea – upcycling is definitely popular so it’s great to see products coming out specifically with that target market in mind. And it’s obviously very popular, having moved over to America. I just hope the trend for painting one’s own furniture continues because not only is it beautiful, but it will keep companies like this thriving. Yes good point Sarah – I think people have really embraced upcycling over the years – so much so that I can’t see it becoming unpopular..
Never heard of Frenchic before, but it certainly seems unique and really cool! 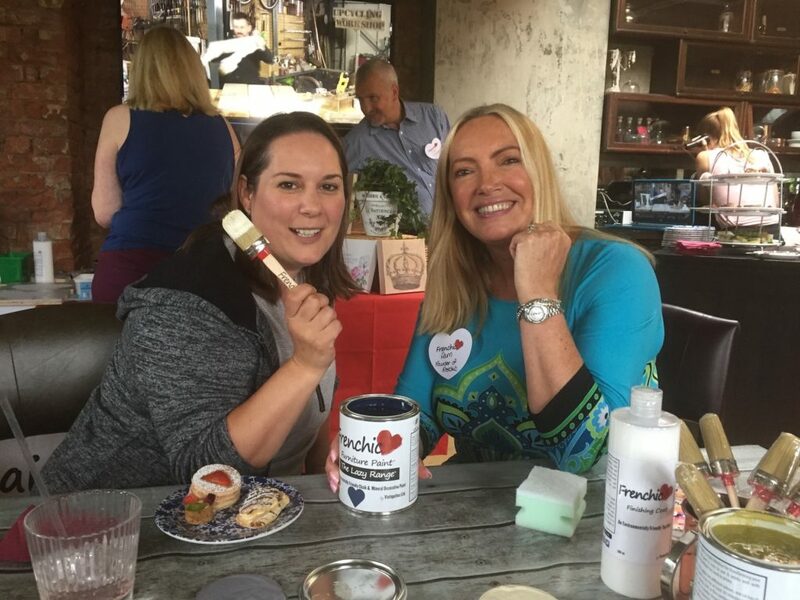 What a great blogger event and perfect day out for decorating and meeting new people. 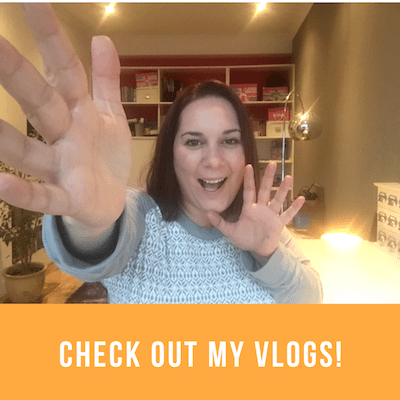 Thanks – I met a couple of new bloggers which is always really nice! 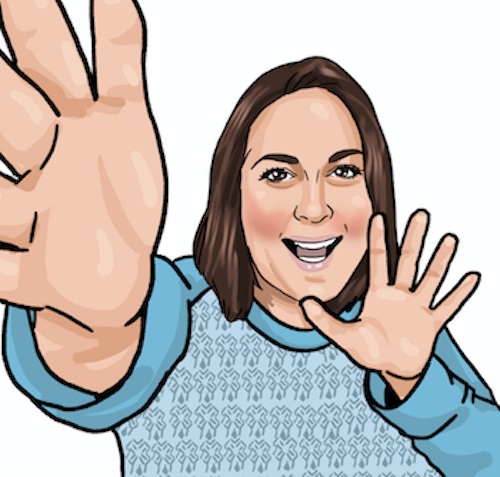 Thanks Laura – wish I had more time to try things like this! Oooh very nice – I bet it looks great. I love their colour range. Love your heart design! Haven’t heard of their brand but looks fab! I’m definitely a converted fan! Wow! It looks like you had a lovely day, definitely my type of events as I’m a bit paint crazy ? That’s a very good post, enjoyed reading it. Thanks Anne Marie – glad you enjoyed it! Wow, glad you had an awesome time. It looks like an interesting and fun event. I hope I could be able to join in this kind of event too. 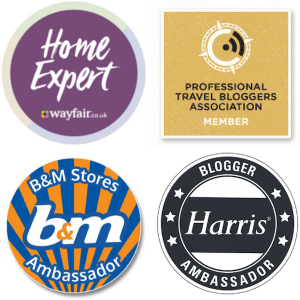 If you’re an interiors or crafting blogger ask them to be added to their press list? Ha ha! Thanks Ali – very flattered!! Your wooden heart looks lovely. Sounds like an interesting and fab event to go to. Thanks Joanna – I hope they host another one next year….I’m there! I really wanted to go to this event but couldn’t make it….looks like you had a fabulous time and loving the look of the range! Ah – wish I’d met you Talya – love your blog! Next time hopefully…! Yes lots of versatility with the products/paint – thanks Charlotte! Thanks Ana… I was quite proud of my first attempt ? Your wooden heart looks lovely, I adore the picture you have transferred. Its a lovely event I would have loved to attend something like this as I make alot of my own background boards for my blog photos. These products look fab. I’m sure they’ll be having other events so possibly see if you can pop along to one! Wow this sounds like a really interesting event. The Al fresco paint sounds intriguing! 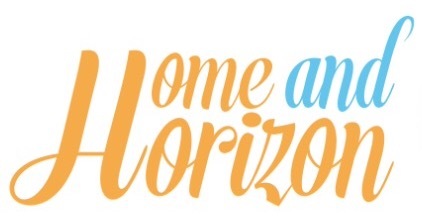 Thanks Mel – I’m hoping to try it out over the summer hols – so watch this space! What a fab event, love the sound of this brand! 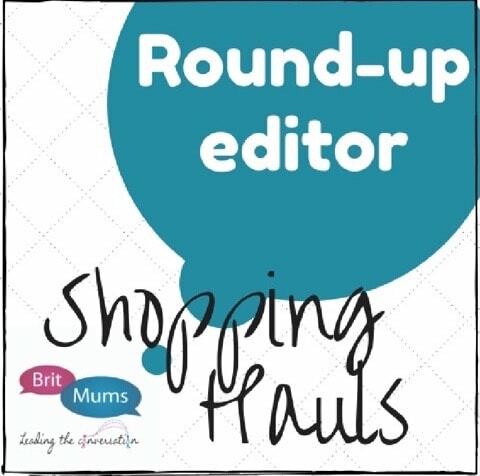 Yes – it’s always good to hear about new brands and try them out! I like the sound of the lazy range, that would suit me very well. 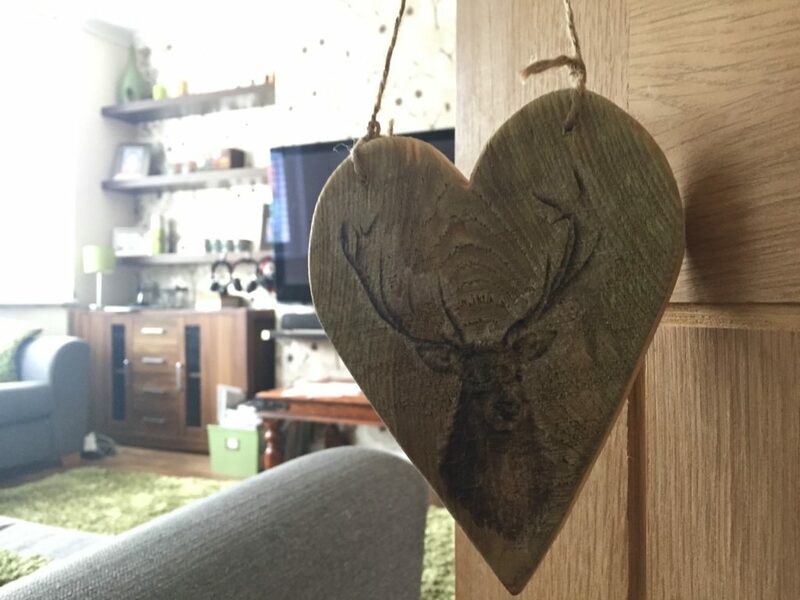 I love your decoupage heart with the stag on it, some great tips for decoupaging too. Thanks Caroline! The Lazy Range is my fave too! Looks like you had a fantastic time at this event. I’ll have to have a look at their paint range as there are some bis and bobs we need doing around the house! 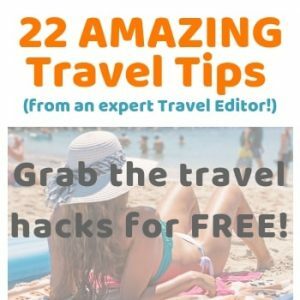 Thanks Jon – it’s well worth a look!